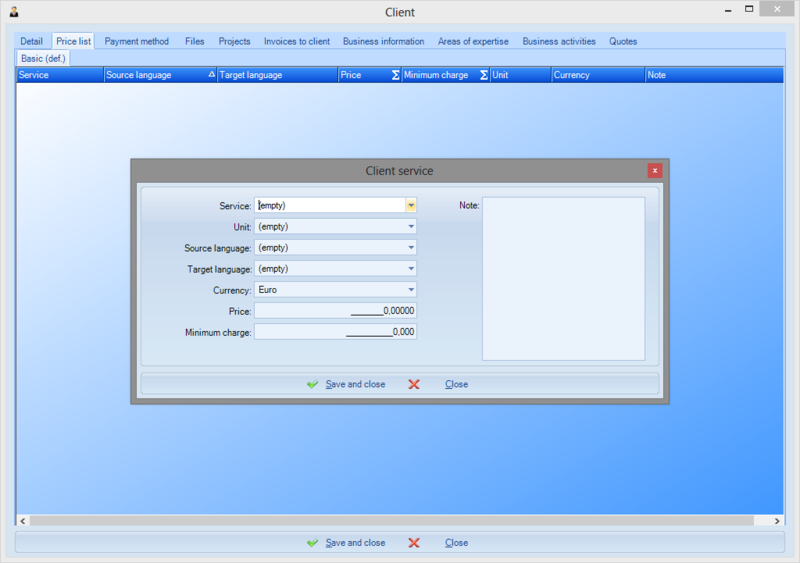 Does it allow full management of the client database? Every customer can have an unlimited number of contact persons registered. 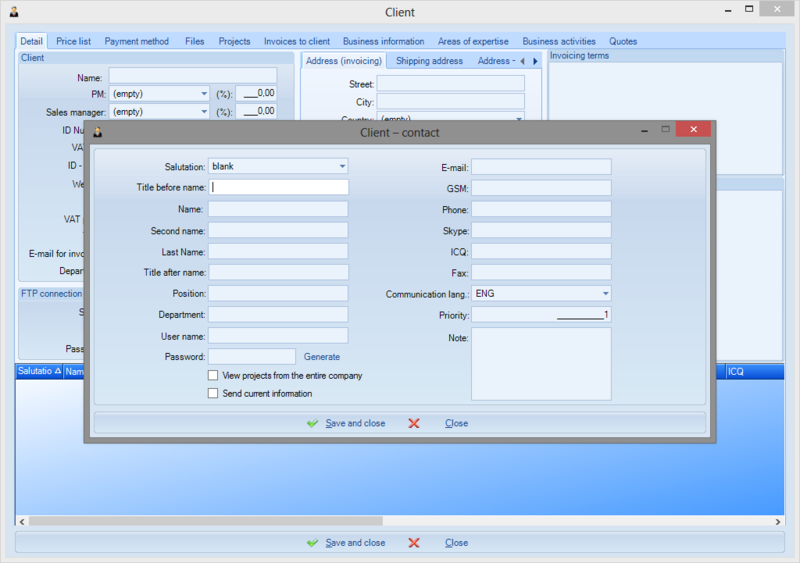 A client can be assigned a category which is a code-list defined value (these can be added/removed). Using a category, you can mark a client as a defaulter who must pay in advance; as soon as a project is created for such a client, the user is notified of the category. 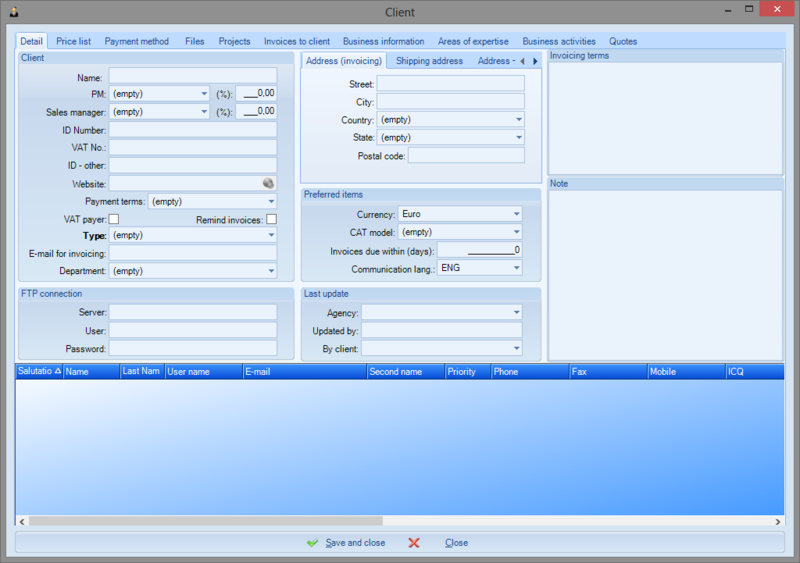 In the client list, you can search according to almost all items registered with a client.